iCloud is Apple’s cloud computing and storage solution that allows users to store, manage, and share their files across iOS mobile devices and computers. It can handle documents, photos, videos, apps, and more. In this article, we cover user reviews and pricing. Ready to try iCloud? Contact their support team for more information. Users who gave iCloud a positive review like that it enables them to effortlessly sync files and data across their Apple devices. Others appreciate the user-friendly software’s stability, app integrations, and great customer support team. As of the date this article was written (10/25/18), there are very few negative iCloud user reviews online. However, some users consider the software’s monthly subscription fees high. Others experience issues with its syncing capability and compatibility with Android devices. 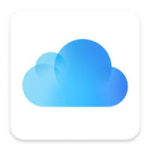 iCloud offers 5GB of free storage, which is built into Apple devices. For users who need more than that, they offer a monthly subscription which ranges from $0.99 to $ $9.99 for 50GB to 2TB of online storage. 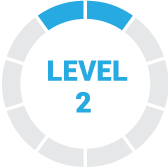 The 200GB and 2TB plans can be shared with up to five of the user’s family members. Ready to try out iCloud? Contact their support team for more information. Best Document Management Software 2018: Google Drive vs. Dropbox vs. Zoho — Read about our comparison among Google Drive, Dropbox, and Zoho. This guide covers their available features, pricing, and range of options for small businesses in terms of ease of use. How can iCloud keep a user’s data and files safe? iCloud enables a two‑factor authentication, which ensures users that only the users can access their account on their chosen trusted devices. What is not counted in a user’s iCloud storage space? A user’s iTunes purchases and downloaded applications do not count in their iCloud storage space. 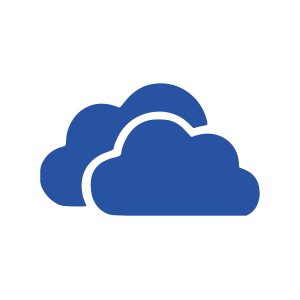 However, device backups, photos, videos, and files take up this cloud storage space. Not sure if iCloud is the right fit for you? Read our reviews of all top document management software providers or check out one of these three iCloud competitors. If you or your business own any Apple products, iCloud is necessary. Apple – for better or for worse – makes it all too easy to seamlessly transfer files to the cloud. Colleagues’ contact information, screenshots from long meetings, notes, documents, presentations, etc. Everything is synced between Apple devices which means no more fishing for lost files. Their security on iCloud is tight, too. This solution is best for those using Apple products. Also, if you get logged out of your account, good luck getting back in. The security is tight (good) but for the chronic password forgetters out there, you’ll find yourself frustrated. If you use Apple products, iCloud is pretty much not an option, It’s necessary. If you have multiple Apple devices it does well. Once it’s connected you have access to all the files stored in iCloud. Even windows files. The fee for iCloud is higher than for One Drive, DropBox and the like. Not much. I have had Apple devices since the first iPhone came out. I still like them even though I believe they were better in the ‘old days’ than they are now. Too much crowd testing these days because products have to get to market sooner from competition and stockholder pressure. the ability to sync among apple devices effortlessly. great to maintain photos, medias and calendar. it does not work well with other products such androids or LGs. I wish to purchase more storage since I have to make sure every couple of weeks, I clear my space for more media. I know iCloud is dependable and i can get to my data from anywhere. Apple support is always available and they do a great job. I knew everything about Apple i feel i needed to know. I have almost all Apple products. This service is best for those invested in the Apple ecosystem. It is so refreshingly simple to access files on the go that you created and saved on your home computer without any effort. You don’t need flash drives, you don’t need to get into a web browser to upload anything, it just works. There are settings that allow you to save your files anywhere on your computer and iCloud syncs it on its own. This is for people who don’t want to think about their file locations, they just want to get work done. It goes beyond files, but that’s the part I use the most. Messaging is also great to have no matter what device you’re on. Unlinking iCloud can be a messy process of redownloading files to your computer. I tried it just to see how it works, and it’s not complicated, I just hate extra things to do with my time. Nothing is lost in the process though. So that’s nice. Contacts also sync wrong sometimes: I got people in my contacts that I’ve deleted from my contacts a few years ago last time I got a new phone. I guess if I had to pick something I could say that there’s not really onboarding. There are settings that don’t have explanations, and it can feel risky to just try them when you’re dealing with original files. You should know exactly what is going on before you change any settings to how your files are stored, and I didn’t feel that confident the first time I used this. If you’re like me and extremely risk adverse, look up some recent tutorial videos on YouTube, I suppose. There should be something to get familiar with the service before you buy it or use the free version. You don’t want to lose your work, and though it’s not happened to me with iCloud before, anything is possible.